Today we present an ICON, a true LEGEND. We are talking about the SARATOGA sofa and seating collection by the famous company Poltronova designed by Lella and Massimo Vignelli in 1964. The Saratoga collection is very rare. It is a series of two , three and four-seater sofas accompanied by small chests which can be positioned at the corner, and side tables. What strikes about this incredible design is its modernity. It was produced in the 60's and still so eye catching and modern. 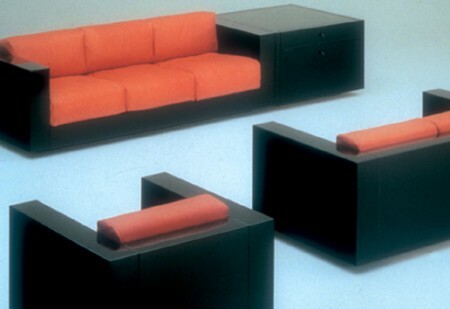 The massive rigid frame contrasts the soft upholstered cushions. The structure has a black polyester lacquer almost the finish of the lovely classical pianos. 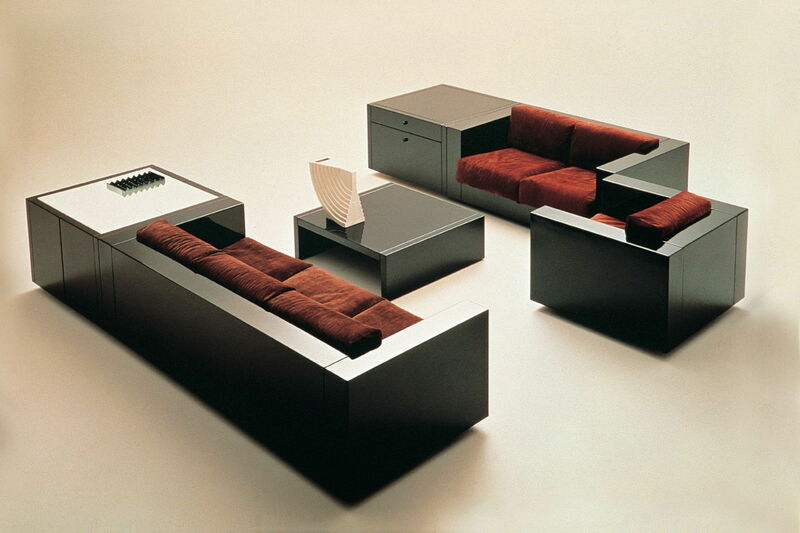 This sofa is so minimalistic, a classic piece and was a pioneer in the home furniture design. You can now purchase one Saratoga by Poltronova 3 seater and one two seater sofa with black leather cushions, the leather shows that beautiful patina which is reached through age only. We also offer one two seater sofa with natural leather color. Plus if you want to make the whole set we have available two Saratoga chests, two saratoga coffee tables and the Saratoga sideboard! We are the only ones to have the complete living room by Poltronova, the Saratoga collection designed by Massimo e lella Vignelli !